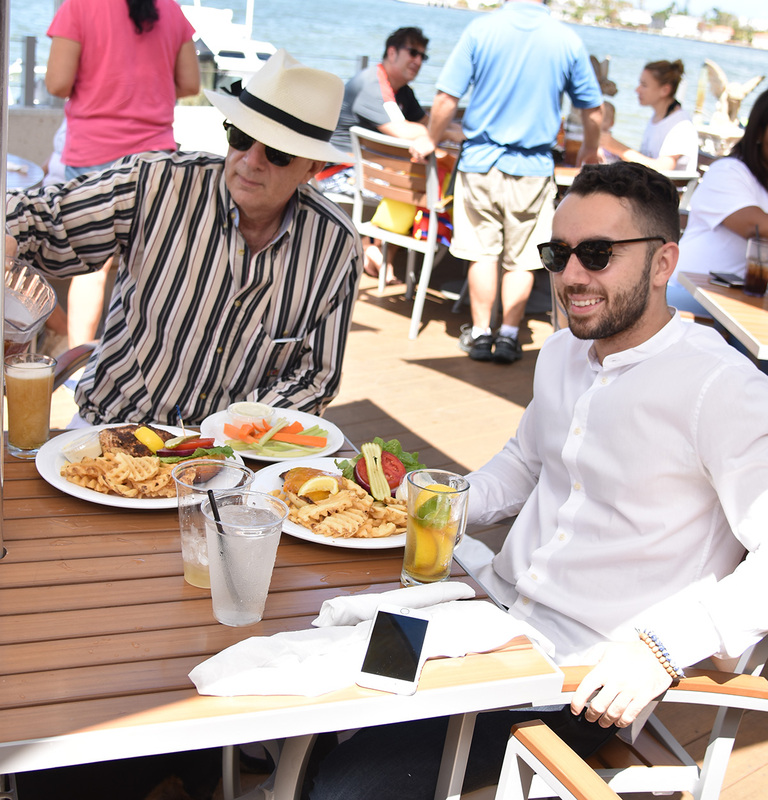 In honor of the awe-inspiring MIBS and all the marine merriment it entails, this month we tip our hats and raise our glasses to Shucker’s Waterfront Grill, a true bastion in our extensive dock-and-dine scene. More than just an ideal place to cast your anchor. More than a welcome respite from the sometimes taxing world of taking on the high seas. More than just a top-notch eatery with a well-stocked bar. More than just the bearers of an eminently limerickable name — to many who spend their days setting sail to far shores, Shucker’s Waterfront Grill is a home away from home. A traditional dock & dine location for 25 years (one of the first on Biscayne Bay), and always intent on expanding and evolving both its space and offerings, Shucker’s provides, with just the right amount of fan fare, seasonally succulent sea food, a bountiful brunch, and all the drink options any seasoned sea salt could desire. Another starring aspect of this appetizing seaside eatery? The service, performed by a cadre of courteous pros intent that every time you head to this landmark eatery, you know you’re in for a good time; ShuckersBarAndGrill.com.